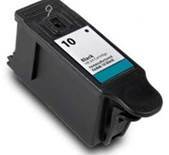 Kodak 12A1975 Premium Quality Compatible Black Inkjet Cartridge designed to work in the Personal Picture Maker PM100 copiers. The use of compatible supplies does not void your printer warranty. 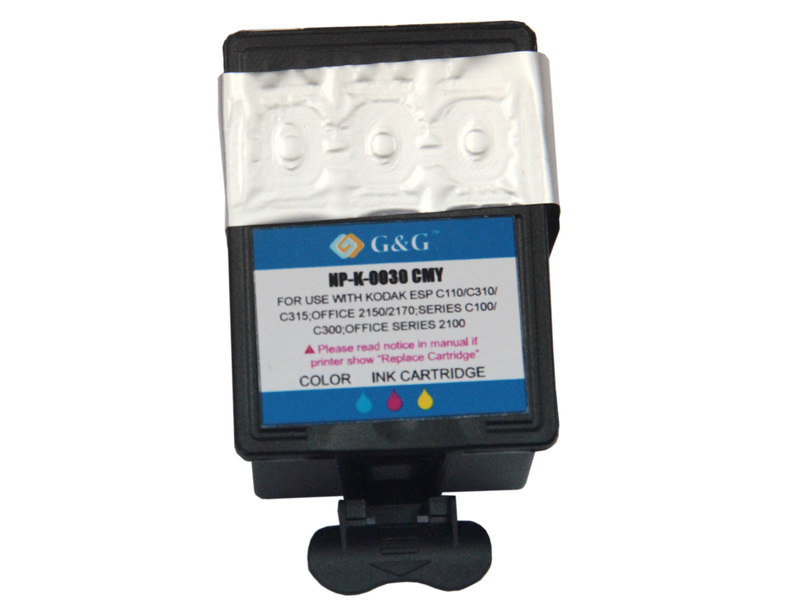 Kodak 12A1985 Premium Quality Compatible Color Inkjet Cartridge designed to work in the Personal Picture Maker PM100 copiers. The use of compatible supplies does not void your printer warranty. 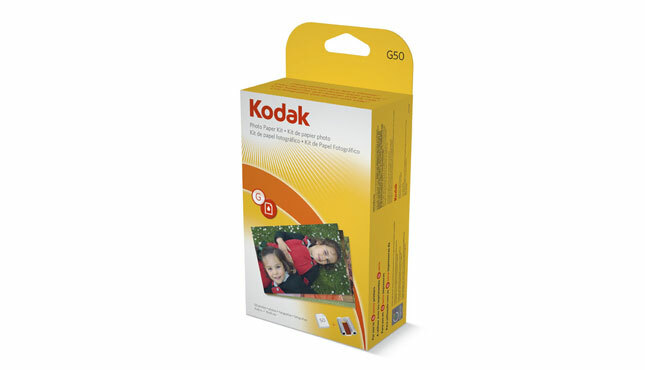 Genuine Kodak 1410596 (Type G-50) Color Ribbon Cassette and 50 sheets 4x6 photo paper kit designed to fit the Kodak G-600 / G-610 Printer Dock. New Kodak 1341080, Type 30XL, Color, High Yield, Premium Quality Compatible inkjet cartridge for the Kodak ESP- C310/ C315/ 2150/2170, Hero 3.1/ 4.2/ 5.1 ink printers. New Kodak 1550532, Type 30XL, Black, High Yield, Premium Quality Compatible inkjet cartridge for the Kodak ESP- C310/ C315/ 2150/ 2170, Hero 3.1/ 4.2/ 5.1 ink printers. 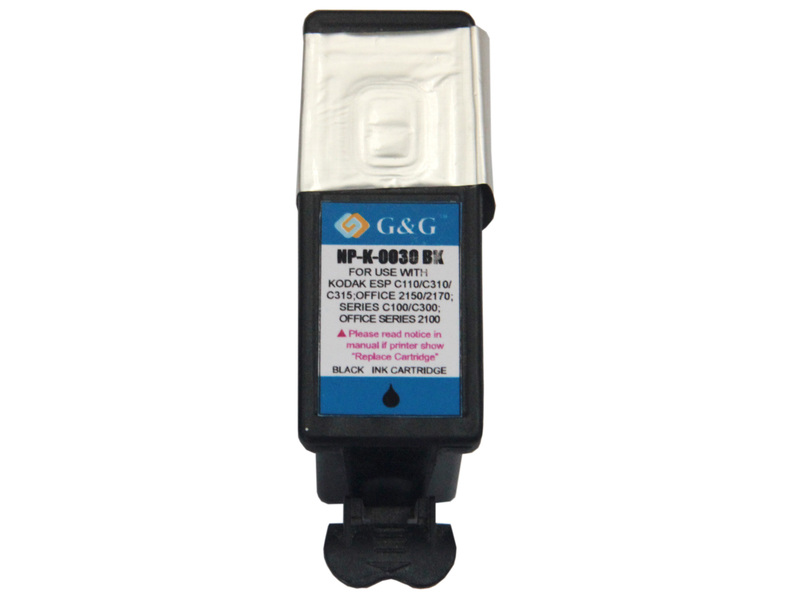 New Kodak 8237216 (10XL) Black, Hi-Yield, Compatible Ink Cartridge for the Kodak ESP 3/ 5/ 7/ 9/ 7250, Easyshare 5100/ 5250/ 5300/ 5500/ 6150/ 9250, Hero 6.1/ 7.1/ 9.1 printers. With 4th Generation chip.